KOCH KCC112 90 cabinet overview. The Koch KCC112 cabinet packs an impressive low-end punch for its size, thanks to a front-ported, closed-back design and a great-sounding 12" VG12 90 speaker that's capable of handling up to 90 watts of power. 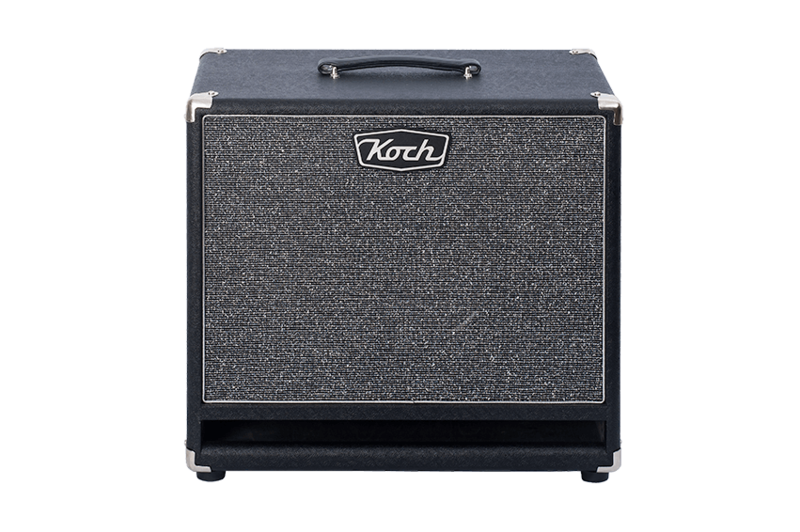 It was developed as an extension speaker cabinet for guitar amps such as the Jupiter, Studiotone and Twintone III combos and heads. but you can plug any head or amp into the 1 x 12" cab, and you'll be amazed at the huge tones you get. 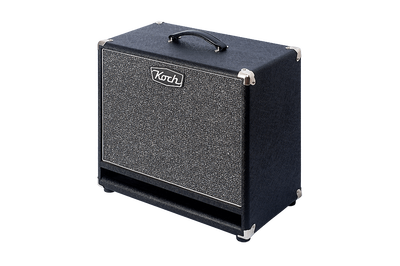 This cab is constructed of high-quality 11-layer Birch Plywood constructed with wood-to-wood joints, which enhances its tonality while providing the rock-solid reliability you need on the road or in the studio. 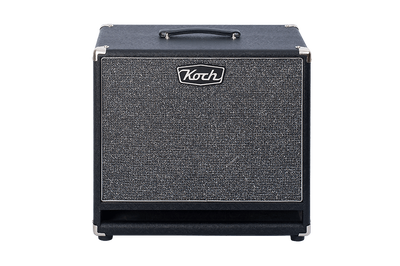 Covered in classy (and tough) black vinyl, the KCC 112 closed-back cabinet complements just about any rig. After exhausting research, tests showed that the materials used for the shell and baffle are a very important factor in the overall sound quality of a cabinet. For that reason, the shells of our cabinets are made of the best quality 11-layer Birch Plywood constructed with wood-to-wood joints, while the baffles are made of vibration-free MDF. This combination produces a tight low end with colorful mids and smooth highs, exactly right for guitar sound reproduction. Our cabinets are equipped with the best available hardware: thick, quality vinyl; nickel plated corners, amp strips and screws, leather bar handles, removable castors and rubber stack feet.